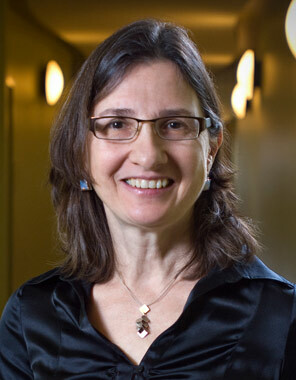 Internationally renowned scholar, Dr. E. Sandra Byers, professor of psychology at the University of New Brunswick, was recently awarded the 2013 Alfred C. Kinsey Award by the Society for the Scientific Study of Sexuality (SSSS). “Dr. Sandra Byers has made the most important and broadest empirical contributions to the understanding of the complexity of women’s and men’s socialization, social interactions and sexual experience of any sexual scientist I know in this century or the last,” said Dr. Naomi McCormick, who previously served as president of SSSS. Dr. Byers is a licensed psychologist and teaches in the fields of human sexuality, clinical psychology, and ethics and professional issues in psychology. She has published more than 125 refereed journal articles and book chapters and is co-author of the most popular undergraduate textbook, Understanding Human Sexuality, which is now in its 5th edition. She has been chair of UNB’s psychology department in Fredericton since 2003. "Dr. Byers has had a long and distinguished career as a leading researcher on sexuality, and her receipt of this prestigious award brings much-deserved recognition to her work,” says Dr. John Ball, acting dean of arts at UNB in Fredericton. “We in the faculty of arts are very proud of her latest achievement. " Lucia O’Sullivan, a professor and Canada Research Chair in adolescent sexual health in UNB’s psychology department, was mentored by Byers as an undergraduate and masters’ student, before going on to complete a PhD in the United States. “Dr. Byers is an inspired mentor, and has helped launch the careers of countless new professionals in the field, and strongly influenced those of many more in myriad ways—something that is highly apparent at every conference we attend,” says O’Sullivan. Byers accepted her award at the Society for the Scientific Study of Sexuality’s annual meeting in San Diego, CA from November 14-17, 2013.